Dongguan Municipal Committee, mayor Liang Weidong visit Dongguan photovoltaic for rese - Dongguan CSG Photovoltaic Technology Co.,Ltd. Date：2018.01.19 source：Dongguan CSG Photovoltaic Technology Co.,Ltd. 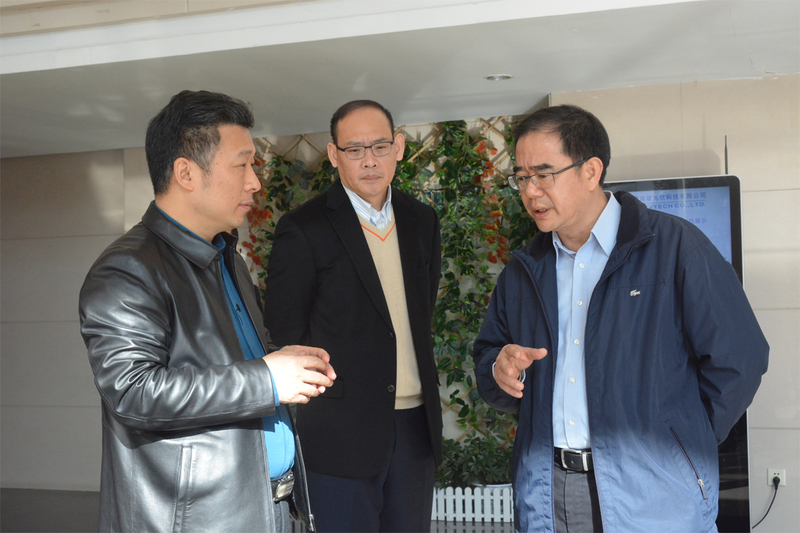 January 13, Dongguan Municipal Committee, Mayor Liang Weidong and his party visit Dongguan CSG Photovoltaic Technology Co., Ltd. to conduct research and Dongguan PVTECH General Manager Mr. Wang Shengrong warmly received and accompanied. Mayor Liang and his entourage visited Dongguan photovoltaic cells and modules production workshop, learned the current production and operation of Dongguan PV and conducted a comprehensive understanding of Dongguan photovoltaic production equipments, process technology, safety and environmental protection. Subsequently, the mayor and his entourage also focused on understanding of the Dongguan City as a "double plan" pilot enterprises, Dongguan PV project construction and the company's follow-up development plan. Through research, Mayor Liang and his colleagues fully affirmed the achievements made by Dongguan PV in the expansion project in 2017 and the environmental protection construction. He also hopes that Dongguan PV will continue to expand its production capacity and enhance its overall competitiveness. In addition, Mayor Liang said the government will continue to step up policy support for enterprises in project expansion, equipment upgrading and other aspects, encourage enterprises to become bigger and stronger, and make greater contribution to the promotion of regional economic development.